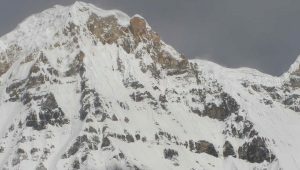 Trekking Encounters comprises a team of experienced staff involved for several years in the travel industry of Nepal. The company is managed and run by a team of competent tourism professionals with their experience over two decades. It includes adventure trekking, peak climbing, cultural tours and eco-tourism. Team members are energetic and self motivated with a passion to develop further for the responsible travel industry of Nepal. Krishna Bhattarai (Kris) is in-charge of the company’s operation who himself is a Trekking and Tour Guide. The following descriptions will be useful to know more about us. Trekking Encounters is legally operated under license granted by the Government of Nepal. Further details are available on request. 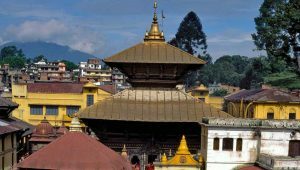 Trekking Encounters Nepal “For Nature and Eco-tourism”. Trekking Encounters is a TripAdvisor recommended Travel Company. Likewise, we are a proud professional member of TAAN, NMA, KEEP, Porters’ Progress and VITOF. Trekking Encounters got an opportunity to represent in TAAN Executive Committee for the term of 2011-2013. Trekking Encounters assures its commitment in providing the highest quality of service through its experienced trekking staff. A good kitchen crew is available for catering on camping treks. We also offer all levels of guides, who have expertise in a range of languages including English. Similarly, other languages include French, German, Italian, Spanish, Japanese and Chinese. 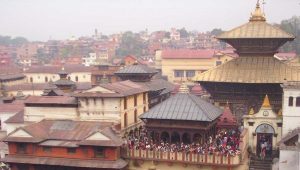 Thus, it is very important for the cultural tours in the historic towns of Kathmandu, Patan and Bhaktapur. All our mountain expeditions will have two-way walkie-talkies and a satellite phone link to our Kathmandu Office. All our treks report their progress on a daily basis to the Office in Kathmandu. Any trekker getting problem due to high altitude sickness or physical injuries, we will provide an emergency support. If it prevents them continuing on the trek, we are able to operate a rescue flight by a helicopter immediately. However, such flights can sometimes delay due to severe weather and are dependent on your individual insurance arrangements. We strongly advise you to buy an insurance policy in your home country that covers accidents, medication and helicopter rescue. Though with our company such problems are highly unlikely, whatever happens on a trek we promise to provide care in adversity as if you were family! Give direct financial benefits for conservation. Supply financial benefits and empowerment for local people. Raise sensitivity to host countries’ political, environmental and social climate. Trekking Encounters is one of the socially responsible companies that act in a number of ways to benefit society; by employing locals, giving donations to preserve the arts and culture, funding academic scholarships, supporting community-building initiatives and so on. We also commit to reduce pollution in the environment due to impact of our customers’ visit. We also donate a certain percentage of our profits to local social organizations. The assistance goes to the charities that work for environmental protection, education and health services in Nepal. Furthermore, please Contact Us if you are willing to sponsor a child in Nepal. Your small contribution probably give lights to someone. Trekking Encounters promotes eco-tourism, which means “responsible travel to natural areas that conserves the environment and improves the well-being of local people“.